Millions of viewers are tuning in to watch the 2018 Olympic Winter Games in PyeongChang, South Korea, but out of the spotlight, some athletes and coaches are using their downtime to accomplish something just as important as bringing home a medal — saving lives. Meagan Duhamel, a two-time world champion pair skater, is returning to Canada this year with an Olympic gold — but her work won’t stop once the games end. 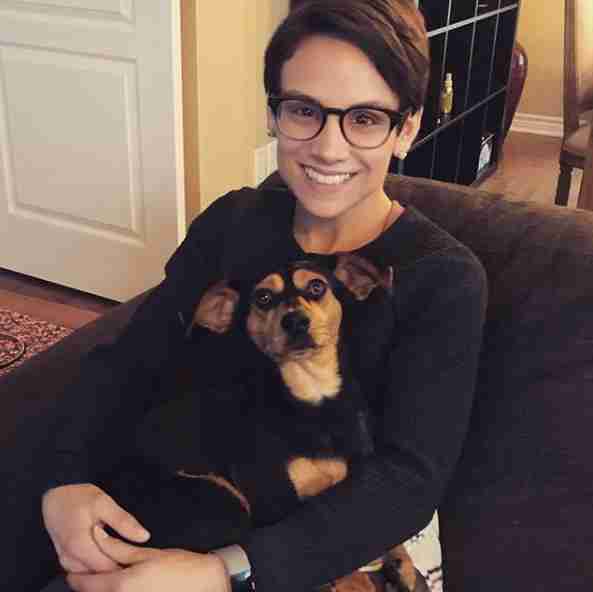 Off the ice, the figure skater has been working to raise awareness of South Korea’s dog meat industry since rescuing a dachshund mix named Moo-tae last year. "Most of the time, he just wants to sit in everybody's arms," Duhamel told AP. "He doesn't even care to play, he just walks up to everybody and wants to be held." Moo-tae sits with his mom while she meditates daily, a habit he might have picked up while living with Buddhist nuns. "He brings a very special energy," Duhamel explained. "I meditate every day, and he sits beside me patiently while I meditate. I don't know if he was trained to do that." 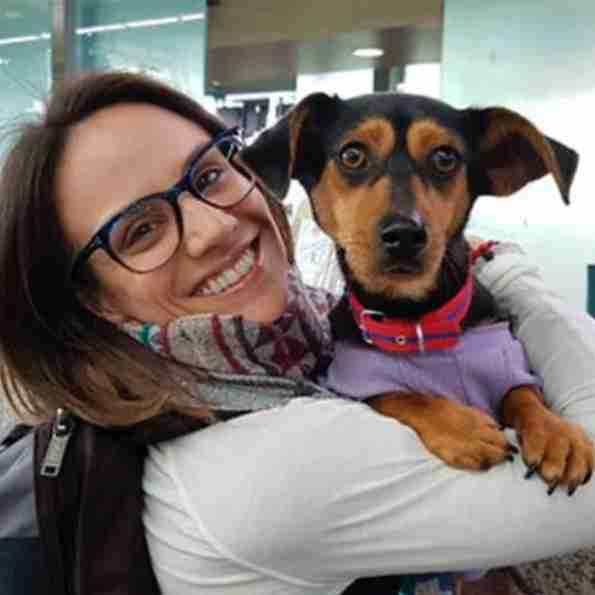 Duhamel now serves as a flight volunteer whenever she travels to South Korea, ferrying dog meat farm survivors to forever homes in Canada. Once the games are over, she intends to bring even more at-risk pups to North America where they will be adopted out on her return trip from PyeongChang. Duhamel, a longtime animal lover, first became involved in Korean dog rescue while she was attending the Four Continents Figure Skating World Championship in PyeongChang, a competition and test event for the 2018 Winter Olympics, in February 2017. Thinking about growing her family, she came across international rescue organization Free Korean Dogs, and spotted a picture of 2-year-old Moo-tae, who had narrowly escaped the meat trade when he was rescued by Buddhist nuns. Soon after, Duhamel convinced her parents, who also live in Canada, to grow their family, and adopt Moo-tae’s shelter mate, a sweet miniature pinscher named Dae-gong. 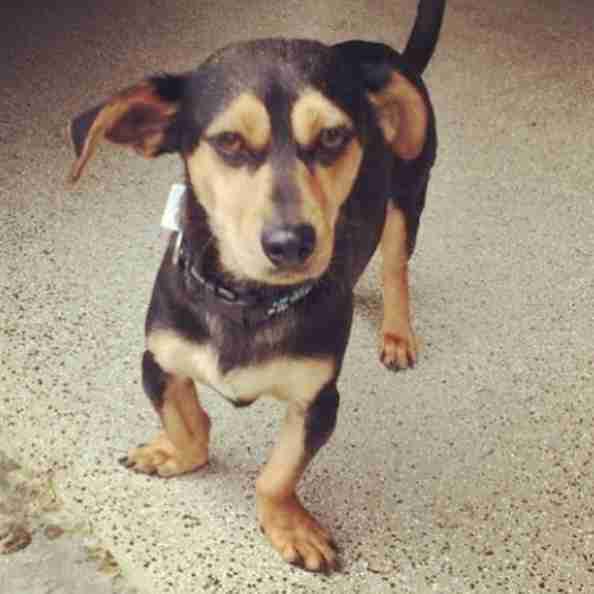 This year, along with a sparkling Team Figure Skating gold medal, Duhamel will be bringing another lucky dog home with her: Ha-Wool, a 3-year-old beagle rescued from a high-kill Korean shelter. Once he is safely on Canadian soil, Ha-Wool will be ready to find his forever home. 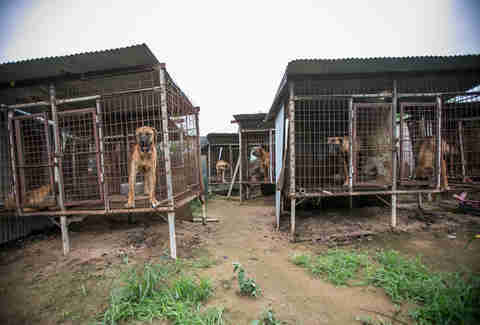 According to Park, each year 2.5 million dogs are tortured and killed for their meat in South Korea. Approximately 70 percent of these dogs are slaughtered during Boknal, a dog meat festival that takes place during the hottest days of summer; however, some restaurants within walking distance of the Olympic games still list dog meat on their menus. The mountainous Gangwon province, where the games are being held, includes seven cities and 11 counties and has a total of 196 registered dog farms. 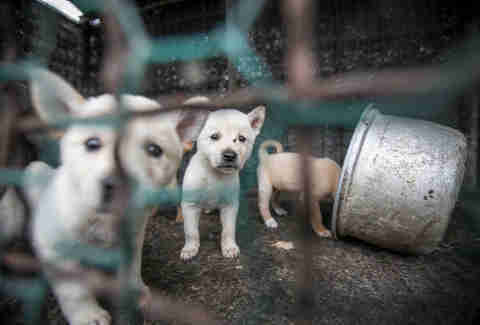 The practice of eating dog for alleged “medicinal” benefits is becoming increasingly taboo among the younger generations in South Korea, according to Park, but eradicating it entirely may be difficult. The key is to keep the momentum going. 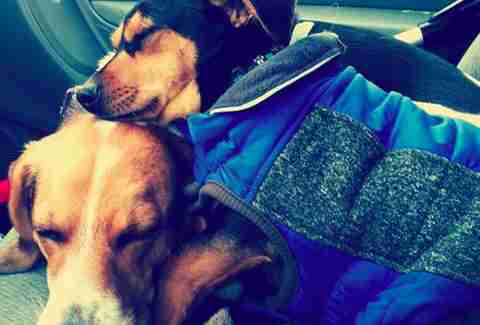 Moo-tae now spends time with his brother, a rescued beagle named Theo, in Duhamel's Montreal apartment — happy as can be. “Now that Mootae is free from the Korean Dog Meat Industry, he enjoys lounging in the sunshine in the safety of his home,” Duhamel wrote on Instagram. 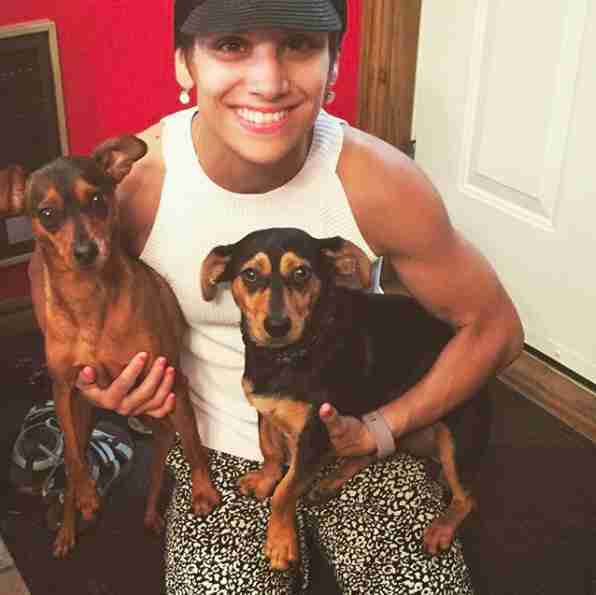 He serves as a constant reminder to his mom that these resilient dogs can find the loving families they so deserve. To learn more about how you can help put an end to the dog meat trade, visit Free Korean Dogs online, or check the group out on Facebook.